While participating in a self-improvement, personality workshop called Enneagram, I identified myself as a #8 personality type. 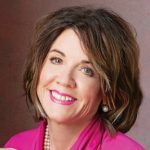 For years I have been accused of being a control freak and responded by stating that I really don’t like managing people, only to have the accuser retort, “Then why are you?” During this workshop, I found out why. Understanding oneself can feel so good. Number 8’s are called the Challenger and said to have “eclectic energy” (their words, not mine). People of this personality type have an unwillingness to be controlled. They tend to be masters of their fate. This often manifests into a position of power. Unhealthy 8’s can be domineering and have a need to control others. But healthy 8’s, like me, often end up in positions of power; not because of a need to control others but because they don’t want to be controlled. Their life and fate are theirs for the making, which often results in a management position. This realization was so liberating. I cannot describe the understanding and freedom this knowledge afforded me. It was so simple and yet I could not see or defend it. This so called “eclectic energy” sometimes revs me up causing me to dominate a conversation and leave me wanting a do-over, so I can listen and learn about the other person. Listening is so important. It is an essential part of communicating. The best salespeople are listeners. Do you understand what I am trying to say? You know who you are and by listening you learn who they are. This is the real meaning of control. It’s hard not to overthink what you did the day before. Women are particularly sensitive to that. 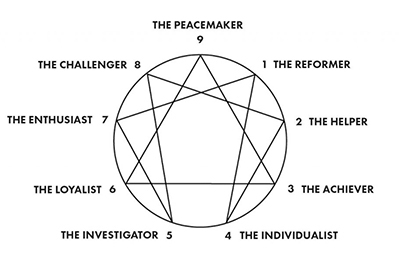 Taking the Enneagram personality test can help validate who you are. You can use this information for accepting yourself, for improving yourself or, like me, a little of both. I now know to try and curb my tendency to take over and why it benefits me when I do. And though I didn’t always heed my own Blog warning; to listen, in the end, I know you just must love yourself for being you and know that you’re made perfectly. Isn’t it FUN! The diagonal lines point to your other less dominate virtues. You can get really involved and start finding out which numbers you are most compatible. It is fun! I’ve always been fascinated with these type of tests. Thanks for the tip regarding the diagonal lines!